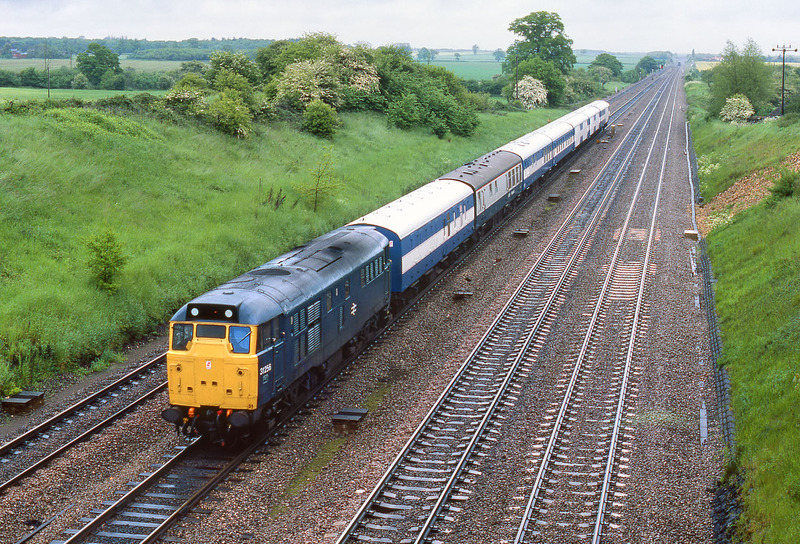 31256 heads west through the rain at Ruscombe on 28 May 1983 with the BR Exhibition Train. I have seen very few pictures of this distinctive train, even fewer of it on the move, so I am quite pleased with this, despite the dire weather conditions. There was a whole series of these exhibition vehicles, whose numbers ran in the 996xx series. The livery varied over time. Note the inclusion on this occasion of a standard blue and grey restaurant coach.